The sage does nothing, and yet everything is done. The principle of least action (or stationary action) seen in the previous entry Noether’s Theorem immediately makes me think of the Taoist concept of wu wei – literally no action or effortless action. 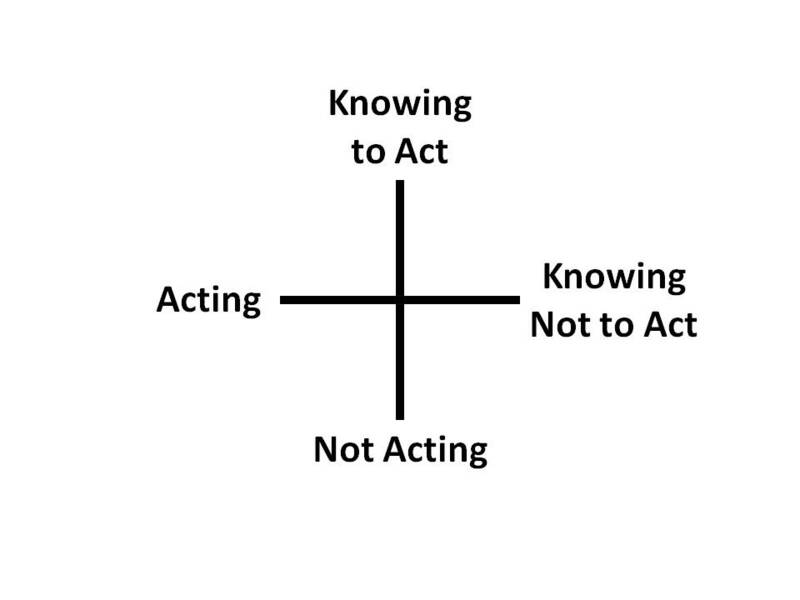 It consists of knowing when to act and knowing when not to act (or perhaps even not knowing to act). It also means natural action, or the action of natural physical or biological systems. In Western culture, such action is considered bad and “mechanical” because physical systems are thought to be like clockwork, but in Eastern culture, it is sagelike and enlightened, harmonious. Very often intention, or conscious action, gets in the way and impedes our effort. Another example that comes to mind is the short story “On the Marionette Theatre” by Heinrich von Kleist. In the story, one of the characters comment that marionettes possess a grace humans do not, a view which contradicts ordinary aesthetics. It is claimed that our consciousness and capacity for reflection cause us to doubt ourselves or become self-conscious, and prevent us from acting with the singlemindedness and purity of an animal or a puppet. For example, a bear in the story is able to successfully fence with the narrator, by deflecting every thrust towards him seemingly without effort. And all feints are ignored, as if the bear is reading the narrator’s mind or knowing the future before it happens. Philip Pullman, author of the fantasy trilogy “His Dark Materials”, was inspired by von Kleist’s story. This entry was posted on May 9, 2012 at 4:01 PM and is filed under fourfolds. You can follow any responses to this entry through the RSS 2.0 feed. You can leave a response, or trackback from your own site.